It is not always easy to combine family life with work which is well aware at SPANGLER. There are a number of young employees working at SPANGLER. 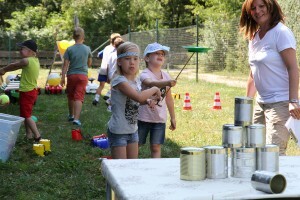 On this account, the Kids Day is an affair of the heart for the managing board. 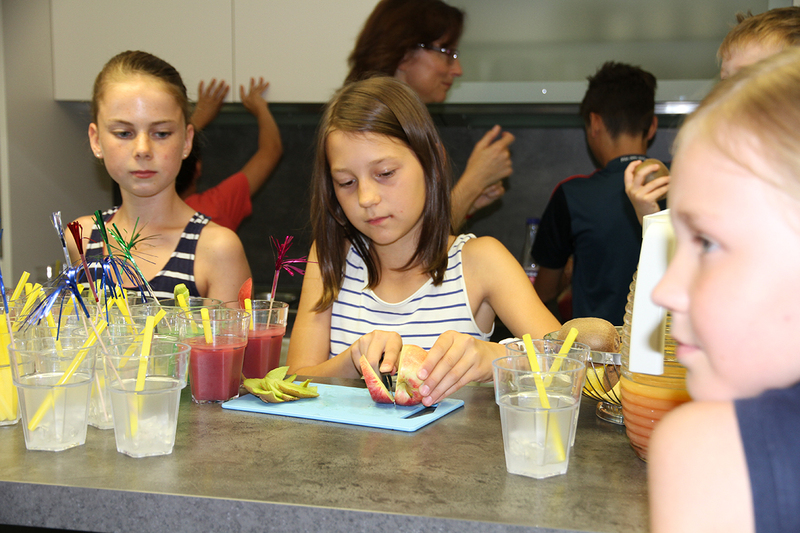 This year twenty-two children took part in highlights such as mixing non-alcoholic cocktails or constructing a “hot wire”. Managing Director Tina Lambert was obviously pleased with the young guests. „Today, we had the opportunity to meet the families of our employees. Thereby, the infectious laughing of the children sounded along the corridors”. Not only proved the children a spirit of discovery but also their young mothers. A guided tour through the company was organized spontaneously. 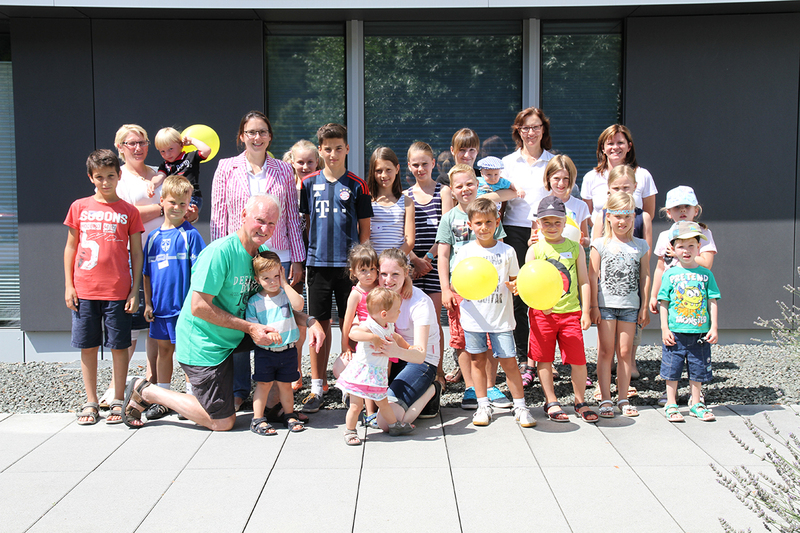 During this tour the emergency childcare was praised. The parents have the opportunity to accommodate their children in the emergency childcare, so that they do not need to take a day off, e.g. for a doctor´s visits. This commitment is not common for a medium-sized company. Nevertheless, SPANGLER is at the forefront to create its framework conditions family conscious. At the end of the Kids Day the children and their parents assembled at the fitness bar in order to enjoy non-alcoholic cocktails. Tina Lambert (4 f. l.), Managing Director at SPANGLER GMBH, Organisation team, representative of parents and participating kids. The kids at lunch time. SPANGLER Automation engineers and plans the plant automation, programs the control technology and builds all the switch and control systems in the company. The family-run company based in Töging was founded by Franz Spangler in 1981 and, today, employs about 130 people and carries out projects worldwide. The management of the company is a board consisting of the three family members Hannelore Spangler, Tina Lambert and Helmut Graspointner.